HomeHow ToHow much RAM does PC Windows 10 need? How much RAM does PC Windows 10 need? If you have been wondering how much RAM do i need for my PC?, here we have an answer for you. RAM is a vital piece of hardware that is used by Windows 10 PC to store temporary data that can be quickly fetched by software or apps, enabling PC to rapidly execute tasks and saving your time. More RAM your PC has, the more tasks you can perform simultaneously at a high speed. In this post, we are going to explain some tricks which you can use to find out how much RAM your Windows 10 PC need? and what is the best RAM limit for your PC because having too much spare RAM is just a waste of the PC resources. Here we are going to help determine how much RAM your PC currently has, how much RAM is enough for accomplish most daily tasks, and what type of RAM is compatible with your system. After reading this post, you should face RAM related issues on your Windows 10 PC. The amount of RAM on PC depends on the what purpose it is mostly used for… some use it for gaming which demands high RAM usage, others use it for office work or editing purposes which also requires considerable amount of RAM. Home PC users who mostly use PC Windows 10 for watching videos or other multimedia content usually don’t need that much of a RAM on PCs. First of all, let me make it clear on the outset that upgrading RAM is not like any magic wand that will immediately turn everything on PC run faster. However, it will help you carry out multiple tasks at a time easily at a faster pace than before, and also helps playing graphics intensive games and video editing. Adding more RAM may not result in the jump in speed but it will enable PC to handle multiple programs side by side without lag or handing. Despite having heavy graphics card and fast process things get bogged down on web browser when you open many tabs together, it may be that RAM is not sufficient to handle that many tasks at a time. Upgrading RAM is such situation usually helps. Especially on older PCs, beefing up RAM can boost performance level. How much RAM your PC need? The answer to the question ‘how much RAM your PC really need?’ depends to a large degree on what you use your PC for on daily basis, and how long you intend to keep the PC. If you regularly invest in new computer after a few years then upgrading RAM may not be necessary as the original RAM that comes pre-installed works well to handle most tasks for the first few years on new machine. If you are looking to keep your PC for a long haul, or don’t want to change your beloved PC, and changed the pattern of daily tasks, upgrading RAM is your best bet. Games such as solitaire and other low-end titles that are not heavy on system resources don’t require much RAM. But for most modern games with heavy graphics usually need substantial amount of RAM, minimum 8GB RAM and maximum 16GB, to run smoothly on computer. 16GB RAM is the optimum level for most games these days. Similarly, those who want to join millions of players worldwide in online game streaming should go with at least 16GB RAM because not only you have to run the game online, streaming game videos on the internet puts extra pressure on the RAM. If you use your Windows 10 computer for menial daily tasks like using office software, emails, playing games like Solitaire, browsing the internet or similar other tasks then 4GB RAM should be enough. However, using multiple programs at once can slow down PC on 4GB RAM but this dip in performance should be severe as to grind your PC to a complete halt. Most budget PCs come with 4GB RAM out of the box, but if you plan to keep your PC for a several years to come then it’s better that you upgrade to 8GB RAM. Video editing can be extremely burdensome on system resources, especially if you are into editing videos with heave graphics or HD quality content. 16GB RAM is a must have for multimedia editing purposes. But it also depends on the nature of editing work, for editing images or low-quality videos, 8GB RAM is perfect. Editing apps and other tools also need minimum 8GB RAM. Different PCs have different RAM configuration which mostly depends on motherboard. Some motherboards have four dual-inline memory module (DIMM) slots for RAM, others have more. Here’s we have explained how much RAM you currently have, what type of RAM is compatible with your PC and how many slots your PC motherboard have reserved for RAM. Follow steps below to find out how much RAM your PC currently has installed on it. 3 – Here you should see ‘Installed Memory RAM’ line which shows currently installed RAM on your PC. Install this amazing app called Crucial System Scanner that scans your computer, shows you how much total RAM motherboard and processor can handle, options for purchasing compatible RAM, and information about available slots for RAM. 1 – Go to www.crucial.com/usa/en/systemscanner on your web browser. 2 – Download the scanner tool and save it on your PC. 3 – Now launch the app. After the scan, you will see on the left side of the window a memory section showing the number of slots for RAM and the maximum amount of RAM your PC’s motherboard can handle. On the right side of the window, there is a list of RAM that you can purchase from Crucial. This tool helps users find the best and most suitable RAM for their PC if they don’t known much about RAMs. These day most RAM comes in two types: DDR4 and DDR3. DDR4 is different from DDR3 in a sense that it uses a different pin configuration to fir into motherboard, which means you cannot use DDR4 RAM on motherboard designed for DDR3 and vice versa. Latest type of RAM called ‘small outline dual in-line memory module’ (SODIMM) RAM doesn’t fir into standard RAM slot because of its extra small size. 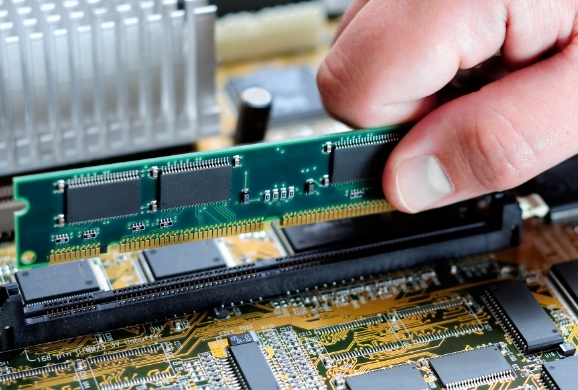 Most laptops or all-in-one PC use SODIMM RAM inside, so keep that in mind when making the purchase decision. After finding out how much RAM your PC needs for specific tasks and what type of RAM works with your processor and motherboard, you can start shopping. Here are best PC RAM available. 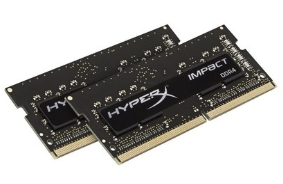 Kingston HyperX Impact DDR4 SODIMM RAM is the best option for users who play games on laptops. This RAM is build on low voltage technology that won’t kill your battery and comes in different configurations for daily needs. It comes with a lifetime warranty with free technical support. It starts at around $75. Buy it from Amazon. 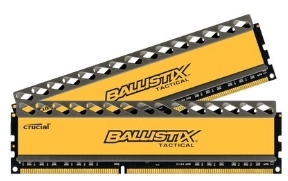 This set of 8GB DDR4 RAM sticks can boost PC RAM up to 16GB which is perfect for heavy gaming needs. You can even overclock this RAM when need to handle resource heavy games and programs. This 288-pin RAM is build with Aluminum heat spreader that ensures PC doesn’t get overheated. This comes with a lifetime limited warranty and you can buy it from Amazon. This low voltage RAM is perfect for laptops and won’t tax battery. You can pick it in 8GB or 16GB configuration and buy it at Amazon. 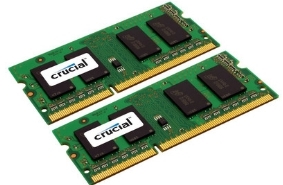 This low cost RAM is available in 8GB and 16GB RAM configurations and delivers high performance. This RAM comes with heat-spreading technology to keep temperatures down when playing heavy games, or editing videos and multimedia content. You can buy this 24-pin RAM with a limited lifetime warranty at Amazon. Do you have any plans for upgrading PC RAM anytime soon? or Have purchased a new RAM or having trouble with your PC RAM then get in touch in the comments section. Download Repost for Instagram on Windows 10 PC & Mac. How to Sync Settings Across Devices on Windows 10.